One of America’s most important composers of the 20th century. Elliott Carter is regarded one America's greatest composers of classical music of the 20th and 21st century. 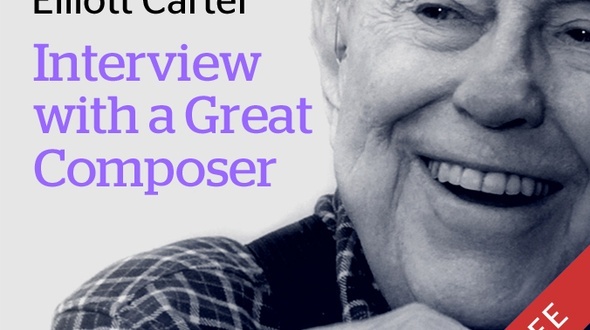 At the time of this interview in 2010, Elliott Carter was 102 years old. Twice the winner of the Pulitzer Prize, first composer to receive the United States National Medal of Arts, one of the few composers ever awarded Germany's Ernst Von Siemens Music Prize, and in 1988 made "Commandeur dans l'Ordre des Arts et des Lettres" by the Government of France, Elliott Carter is internationally recognized as one of the leading American voices of the classical music tradition and was a leading figure of modernism.Especially impressive is his incredible productivity towards the late phase of his life where he wrote 40 works aged 90-100 and even another 20 works past the age of 100. Elliott Carter is regarded one of the greatest American composers of classical music. 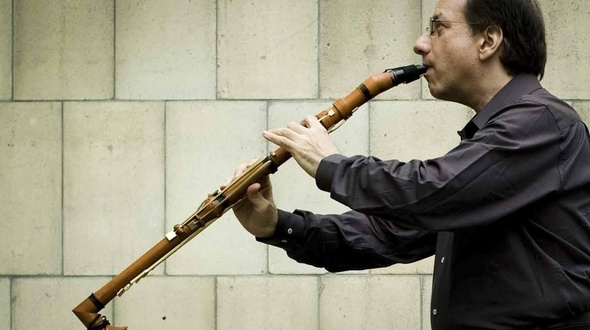 On his 102nd birthday, Charles Neidich performed his amazing Clarinet Concerto at The Lincoln Center. Twice the winner of the Pulitzer Prize, first composer to receive the United States National Medal of Arts, one of the few composers ever awarded Germany's Ernst Von Siemens Music Prize, and i 8 made "Commandeur dans l'Ordre des Arts et des Lettres" by the Government of France, Elliott Carter is internationally recognized as one of the leading American voices of the classical music tradition. With the Mega Bundle you get access to all video titles in the Play with a Pro Movie library, that's more than 50 hours HD Video material. Any future titles will be added for free to the Mega Bundle. Start learning today from the world's greatest artists and teachers and begin to feel the difference in your own playing. Copyright © 2009–2016 Play With a Pro. All videos © their respective owners.